Cut two vertical front trim pieces (EE) from 1x8 pine, each 6 feet long. 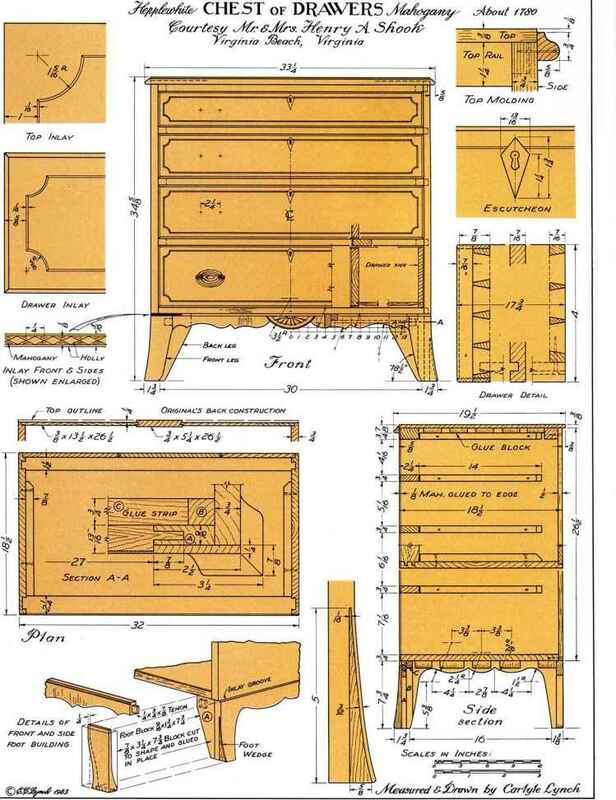 Attach them on either side of the front of the armoire, over the edges of the side trim pieces (J and K), as shown in Figure 16. Use 2-1/4-inch-long screws spaced about 8 inches apart. Place the screws no closer to the outer edges than 3/4 inch. Cut one 35-inch-long shelf trim piece (FF) from 1x4 pine. Fit the shelf trim piece (FF) between the two vertical front trim pieces (EE) so that it covers the exposed edge of the middle shelf (I), the front horizontal support (F) below, and the top housing (L). It should be absolutely flush with the top surface of the shelf. Glue and screw it in place using 2-1 /4-inch-long screws. Cut one 35-inch-long top trim piece (GG) from 1x4 pine. Rip it lengthwise to a width of 2-1/2 inches. Fit the top trim piece (GG) between the two vertical front trim pieces (EE) so that it covers the exposed edge of the top (G) and the front horizontal support (F) above the top (G). Make sure that it is absolutely flush with the bottom surface of the top (G). Glue and screw it in place using 2-1 /4-inch-long screws. Cut one 35-inch-long bottom trim piece (HH) from 1x4 pine. Rip it lengthwise to a width of 3 inches. Fit the bottom trim piece (HH) between the two vertical front trim pieces (EE) so that it covers the exposed edge of the bottom housing (L), the bottom (H), and the front horizontal support (F) below the bottom (H). With 2-1/4-inch-long screws, glue and screw it in place.